Godaddy VS. Hostgator - Which is Better for Your Business?! Home/Others/Godaddy VS. Hostgator – Which is Better for Your Business?! Godaddy or HostGator – Which Best for Your Business?! 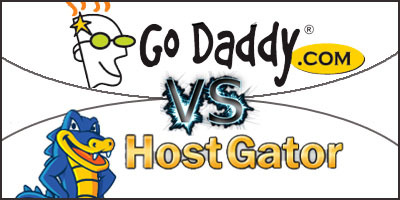 GoDaddy vs. HostGator are among the biggest names in domain registration and Internet web hosting. GoDaddy has acquired fame and even some amount of notoriety for its extreme advertising, including a number of Super Bowl advertisements. Ever since 1997, GoDaddy has been in operation while HostGator is comparatively new, being founded in 2002. The website for GoDaddy is quite flashy and incorporates a great deal of graphical content and video, including backing by Danica Patrick, IndyCar driver and the notorious “Exposure” ad which got banned from the Super Bowl lineup. If you are able to see beyond the glamour and glitz of the website you will realize that GoDaddy is rather straight forward in what it has to offer. The company provides some of the most reasonable prices for domain Hosting & registration, such as $9.99 for popular purchases like .org or .com and $1.99 for purchases that are not popular. In addition, the company pledges a 99% uptime and the possibility for unlimited bandwidth and storage. Economy packages for web hosting by GoDaddy could be as little as $4.74 per month. As well as basic web hosting, GoDaddy provides dedicated or virtual server plans. At a quick look, GoDaddy is at a minimum as spirited as HostGator, in view of the fact that HostGator offers unlimited disk space, unlimited bandwidth and dedicated servers as well. The HostGator is based in Texas, while GoDaddy is based in Arizona. HostGator offers dedicated web hosting, reseller hosting and shared programs. Similar to GoDaddy, HostGator evolved from humble beginnings and has emerged as a company with a million customers as well. HostGator provides a typical hosting plan which cost $4.95 per month, along with liberal online coupons such as a spring 20% discount that was recently offered. All of their plans provide unlimited storage and bandwidth; however, the plan that cost $12.95 goes way beyond by providing customers with their very own toll free number as well as anonymous FTP, dedicated IPs and unlimited domains. HostGator humorously organizes its plans in relation to Hatchling, Baby and Business. As it relates to GoDaddy vs. HostGator, GoDaddy constantly ranks low for its potential in web hosting but has a high ranking for domain registration. At best, customer care at GoDaddy is questionable and so is the refund if the customer is not satisfied, which is difficult to come across on GoDaddy’s website but can be found all over the page on the HostGator website. GoDaddy customer service is not telephone-based; they do not have a toll free number; however, HostGator has gotten much better reviews where technical support is concerned. 1and1 vs Godaddy – Which One is Best Web Hosting?! StartLogic vs GoDaddy – Which is the Best Web Hosting For You? Godaddy vs Network solutions – I’ll Tell You Which One I Tried and Liked!